The Heart of Christmas | Smile, God Loves You! The spirit of Christmas can be the greatest feeling in the world, and the hype of shopping along with the traditional Christmas carols and glittering decorations set the perfect atmosphere for the season. Family gatherings and great feasts add joy and excitement to the hearts of everyone, whether they are Christians or not. This is because we are programmed to accept that Christmas season is the time for being friendly and for giving a little extra money to charities. It’s the time to forgive and forget and to make new starts in life. It’s when most people are prepared to be happy, to experience the joy that comes with the season and to help their fellow man. Even in a secular world, the feeling of the season comes with great peace. But Christmas is also the time of year when people who are hurting will experience the most pain, realize their greatest losses and become burdened with intense emotional loneliness. It’s the time when many people realize that their lives are missing the joy that others are sharing and it can be very difficult for them to enjoy any part of Christmas. If the love and joy that comes with Christmas could last all year ’round, this world would be filled with peace and happiness. There would be no more wars and many of the sorrows that we see around us would be gone because the kind hearts of others would extend their passions to the poor and to the needy. 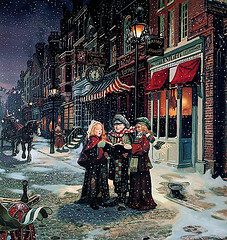 What a wonderful world this would be if the heart of Christmas could be experienced every day. Christmas for Christians is a time for celebrating the birth of Jesus, even though according to the Jewish calendar He was not really born on that particular day. It’s the time when praise is shouted out and carols are sung in honour of the Lord. We decorate our homes, prepare great meals and spend excessive money on gifts, and it’s all because we are celebrating the reason for the season. But this feeling of sharing and giving, and of joy and peace should never be limited to one day. It should be part of our character, of our natural being, so that we can LIVE the peace and joy of God everyday, and so that we can SHARE the peace and joy of God every day. We should live every day with the celebration of Christmas in our hearts so that others can see the love of God in us every day and not just one day of the year.